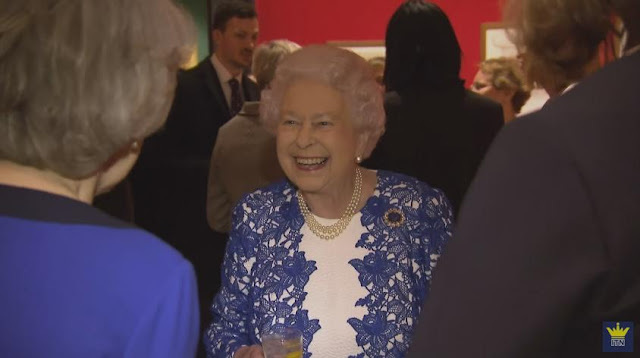 The Queen hosted a reception at Buckingham Palace celebrating past and present women in government leadership (Permanent Secretaries). For more: Zimbio gallery, YouTube video. ...it was actually a double sapphire day. Several of you noted that you hoped to see this pink sapphire on my list of Her Maj's top sapphires, and while it didn't make my cut, I also can't argue.